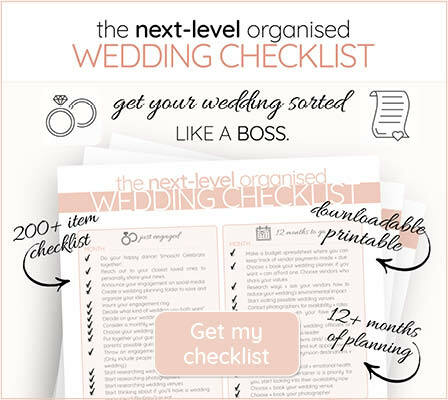 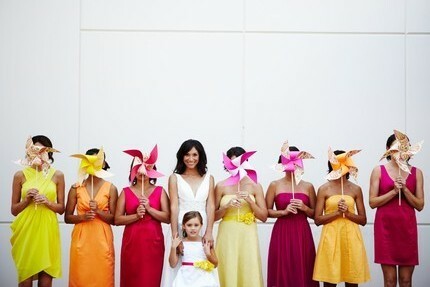 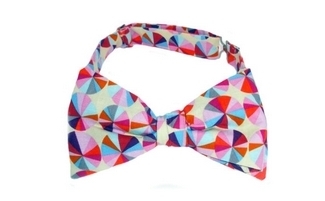 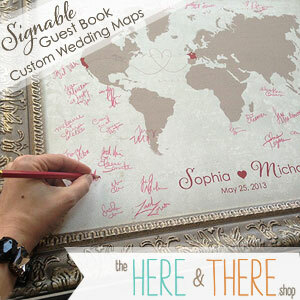 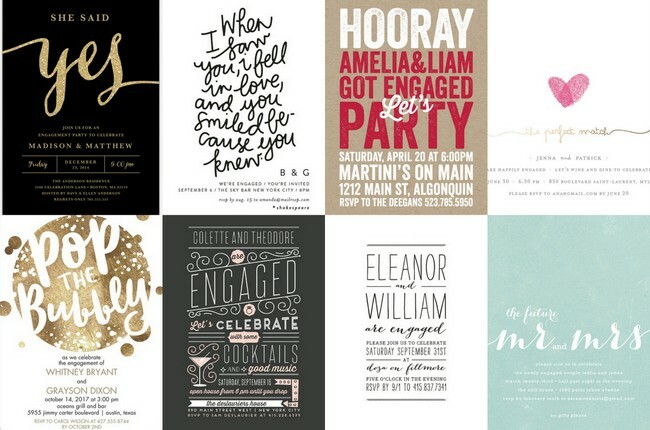 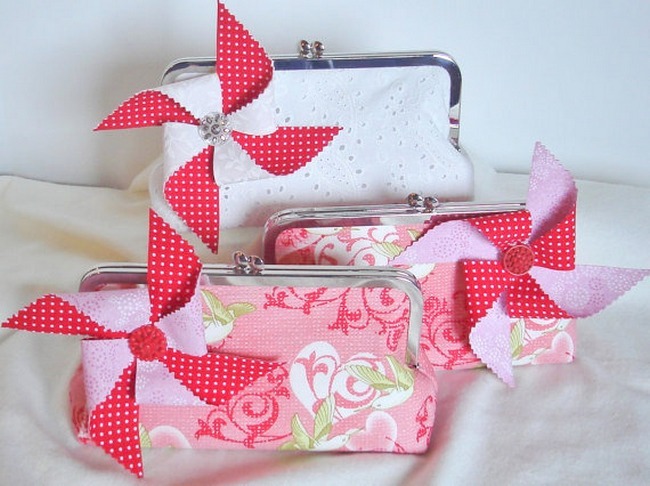 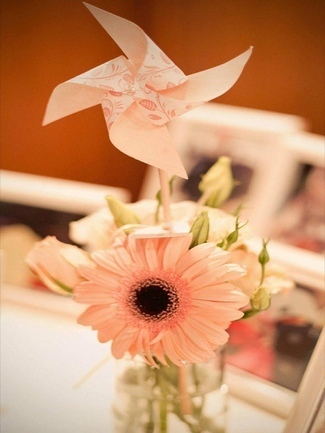 There are countless to add fun and fab touches to your wedding! 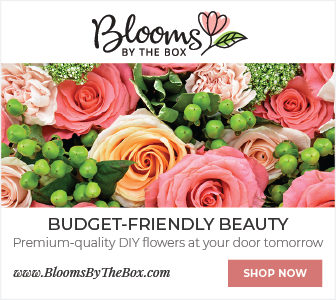 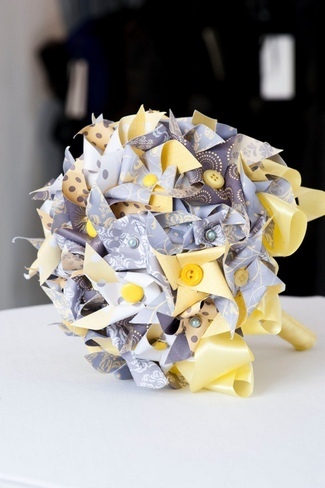 The latest craze arrives in the form of the spinning pinwheel in all sizes, colours and designs, which can be used to dress up not only your decor, stationery and wedding cakes, but also your bouquet and his boutonniere! 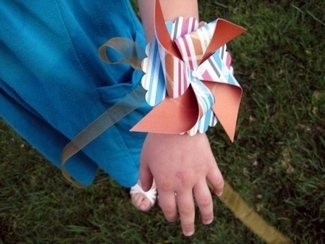 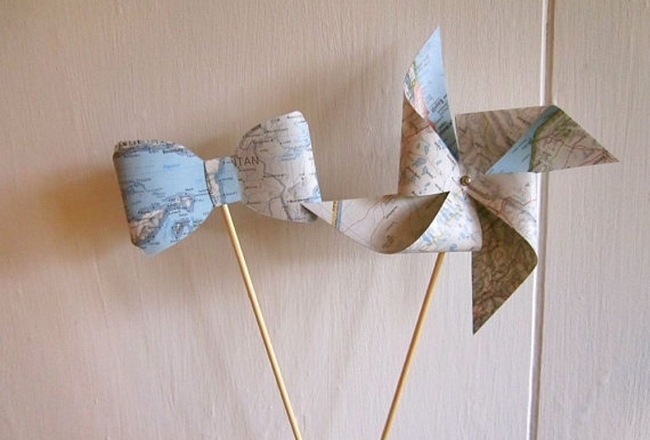 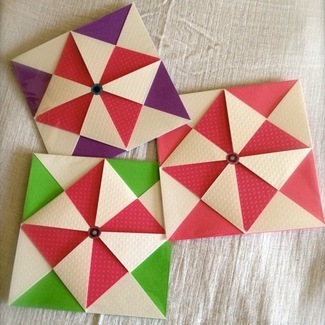 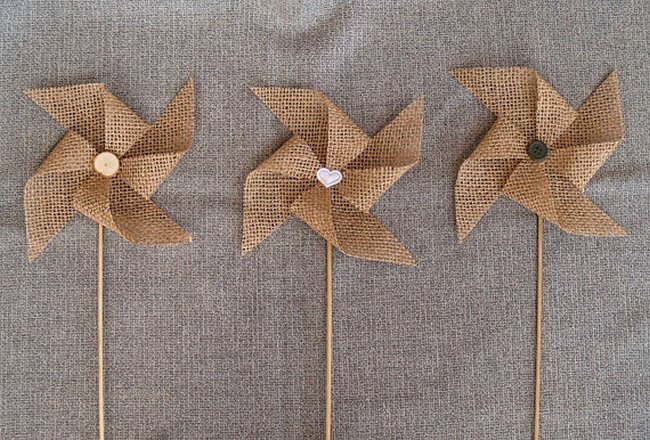 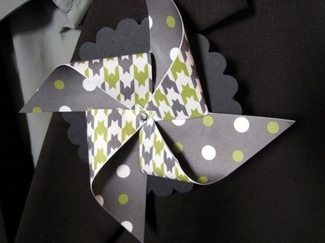 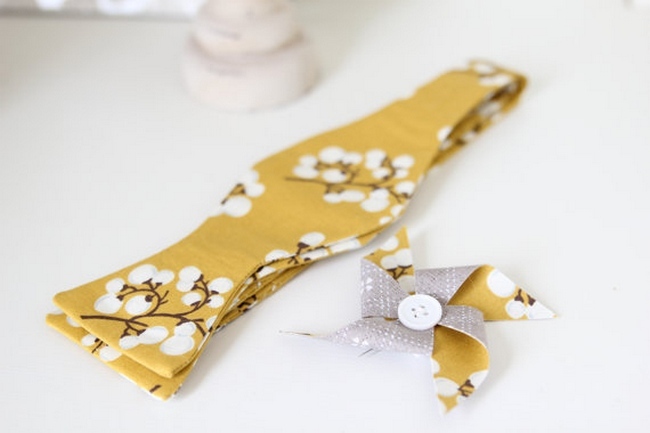 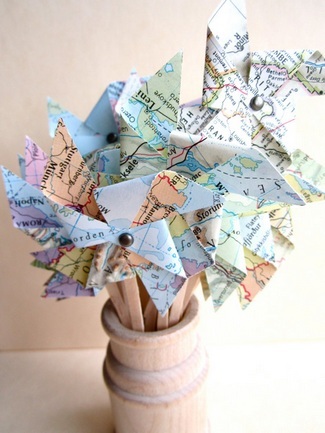 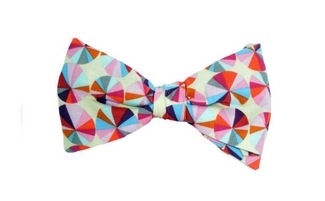 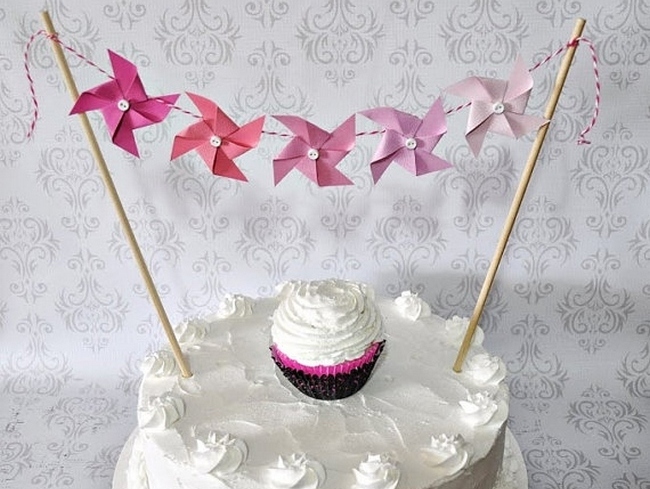 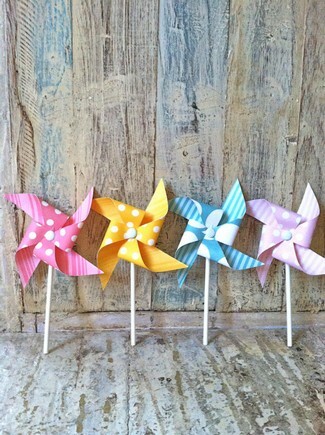 Pinwheels are so versatile (and boy can they be easy on the pocket too!) 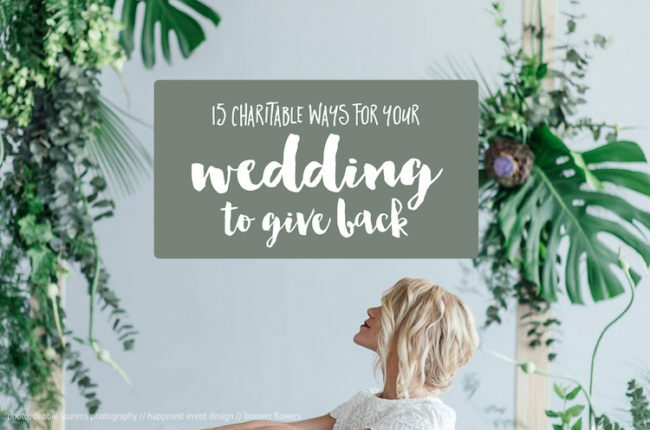 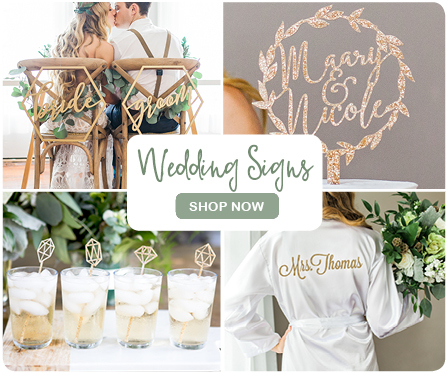 that they can be used at nearly any themed wedding, whether it be vintage, rustic or even carnival, as featured peaking out amongst these awesome set of 20 DIY Carnival Theme Wedding Ideas. 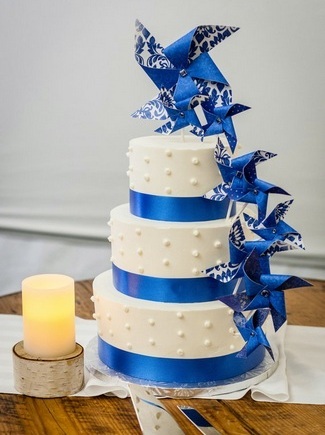 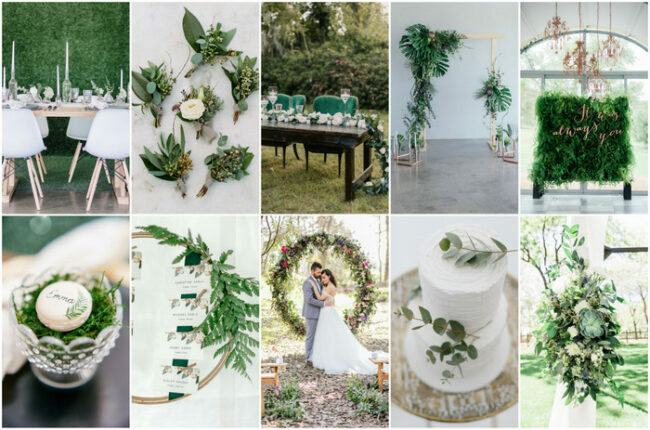 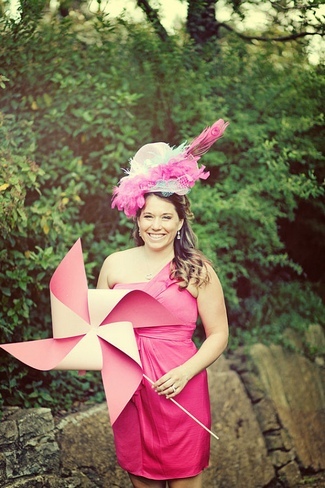 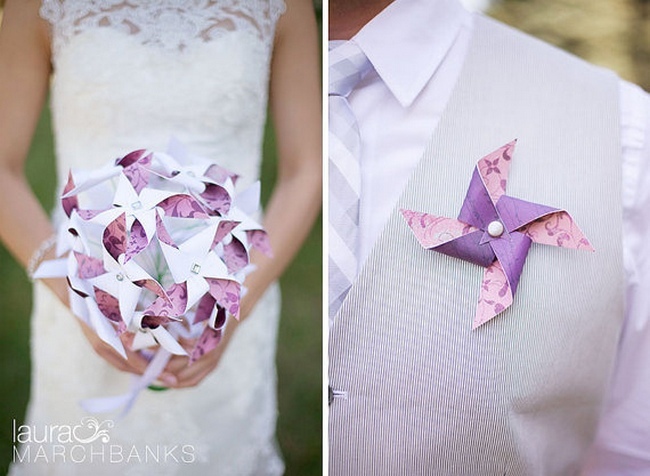 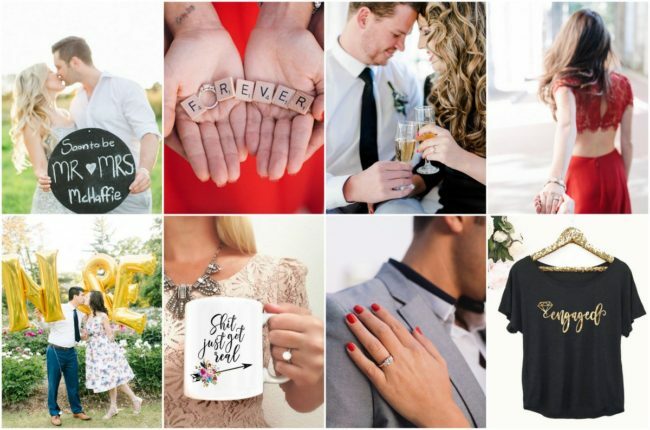 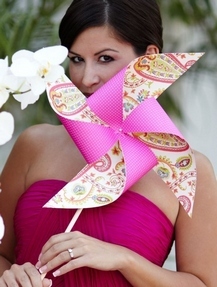 Go pinwheel crazy with this week’s Wedding Trends Series that showcases radical pinwheel ideas to help you add a whimsical and playful touch to your wedding day. 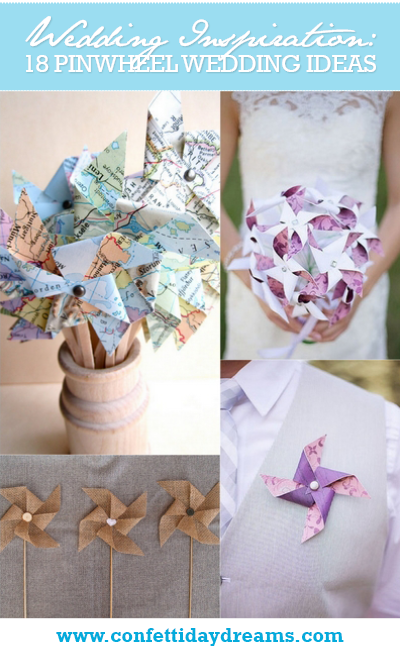 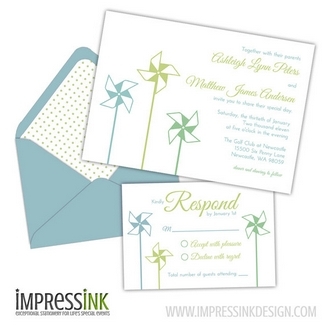 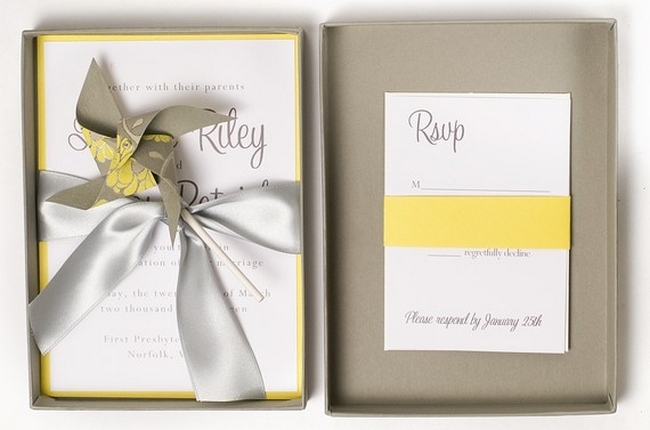 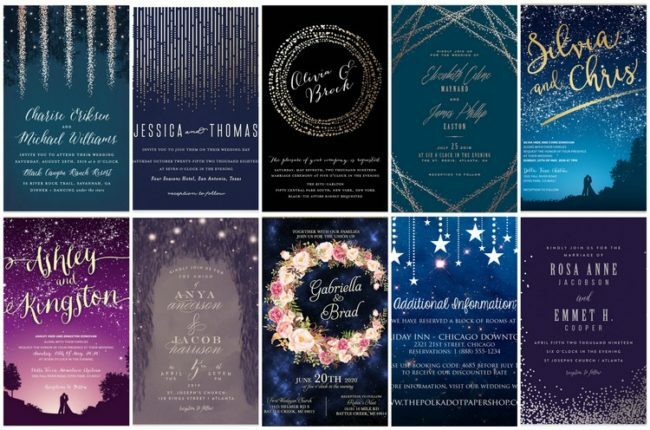 Searching for other ways in which to add a trend or two to your special day? 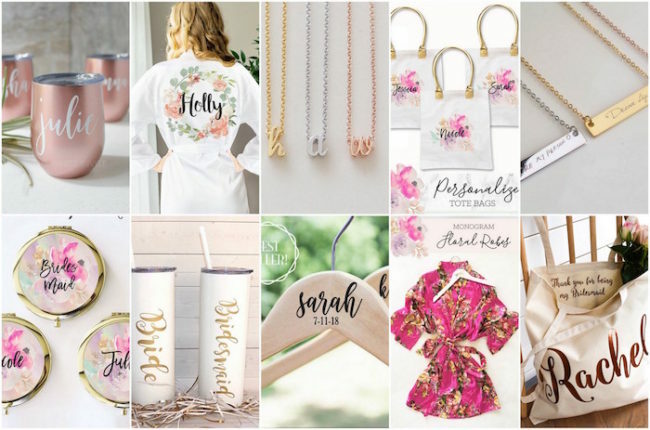 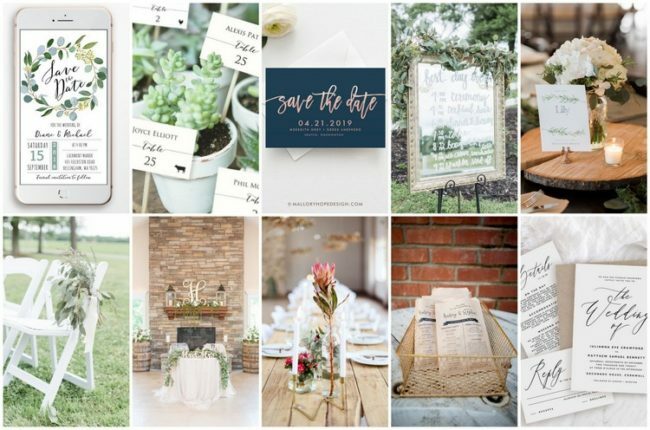 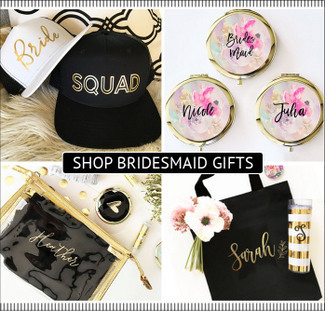 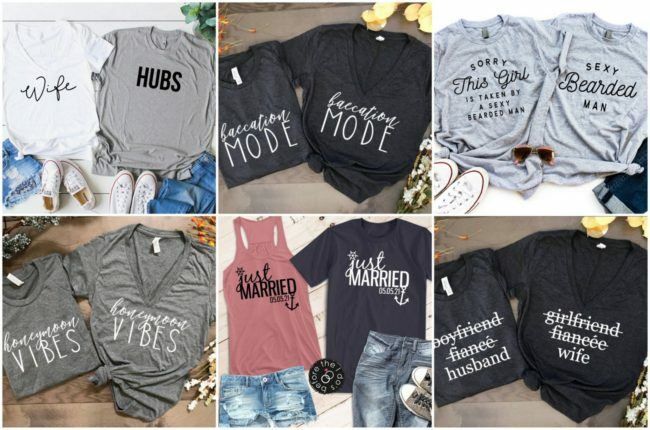 The charm of the chalkboard is here to stay and we’ve put together a keepers collection of both decor and freebie chalkboard wedding printable ideas here: Trendy Tuesday: Chalkboard Wedding Ideas.